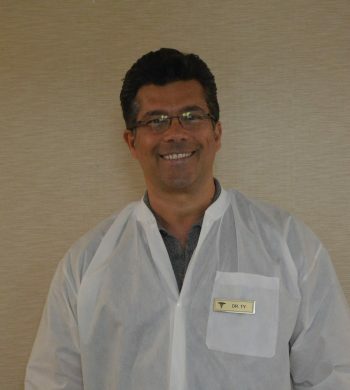 Meet Dr. Ty – Dr. Ty Istanbullu, D.D.S. Dr. Ty Istanbullu, D.D.S. is committed to providing the highest quality care to his patients. Continuing education is very important to enhance Dr. Ty’s skill in the latest cosmetic, preventive and comprehensive care options, including those featured on the television series “Extreme Makeover”. Treatments recommended are based on your long term health needs, as well as your personal expectations. Dr. Ty graduated top of his class from Loma Linda School of Dentistry located in California. Loma Linda is a well-known dental school with an emphasis on practical dental skills. Dr. Ty is a member of the Massachusetts Dental Society and American Dental Association. He also participates in the Yankee Dental Congress Program on a yearly basis. Prior to opening his own practice located in Danvers in 2001, Dr. Ty practiced at a Cambridge based dental practice. Dr. Ty provides care that is individualized, health-orientated and less invasive. He provides restorative and comprehensive preventive care for lasting, confident smiles. He is committed to high quality care and making his patients feel comfortable.